One of the best looking Maserati GrandSports on the road today. 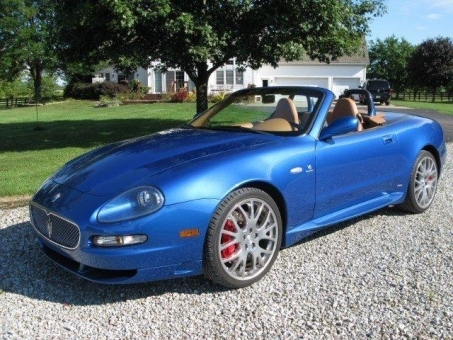 Anniversary Blue to honor Maserati's 90th year. 400hp Ferrari 4.3L engine, Cambiocorsa 6-sp F1 Paddle shift, Skyhook Active suspension, polished wheels, heated seats, and Sport Tuned exhaust. Needs nothing.